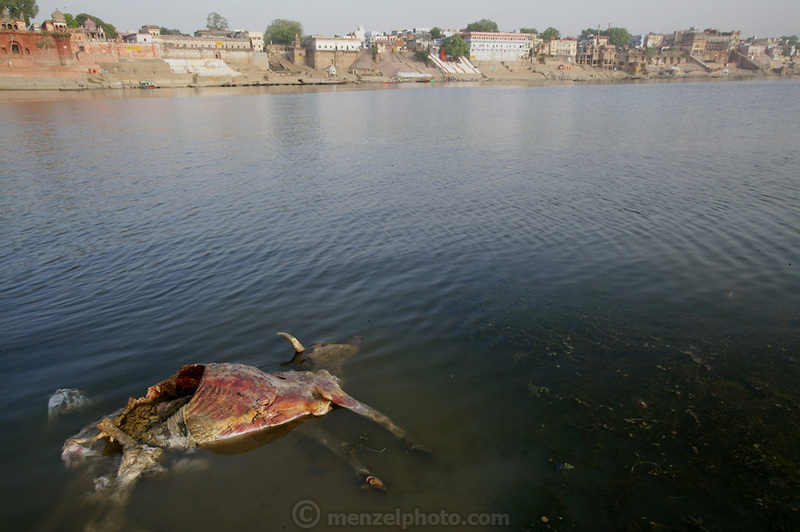 A decomposing cow floats in the Ganges River across from the cremation ghats in Varanasi, India. Human remains also wash up on the sandy shore on this side of the Ganges. Varanasi, India.